Best Carpenter: David Dollar Carpentry: We can attest to the qual­ity of his work. 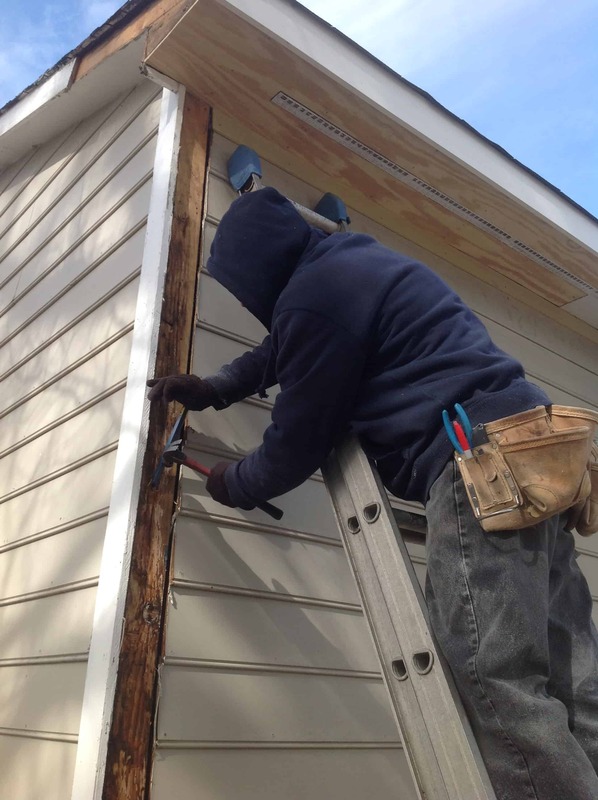 Our family uti­lized his ser­vice for 4 win­dows, 2 door instal­la­tions, sid­ing replacement, soffit repair, and replace­ment, cab­i­net shelves, bed frame repair, ceil­ing repair, exhaust fan instal­la­tion. Please call David as our list just scratches the sur­face of all that he can do for you. 919-602-8588. *** David is currently recovering from surgery and plans to be back in full service by early May. Please keep an eye on his Facebook page for updates***. Best Electrician: CR Reaves/ Mike Garner (out of Burlington NC) Very fair, hardworking and honest. 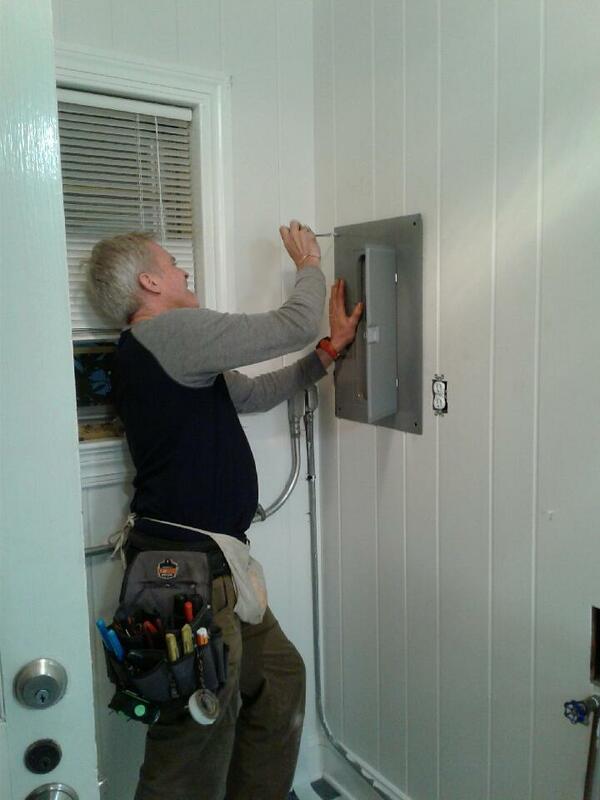 Installed overhead lights repaired circuit box, certified HVAC electrical work for us. 336-516-5610. CR retired and now Mike is running the show. Primarily service and residential project oriented. The list of what I do is primarily residential and some smaller commercial projects. 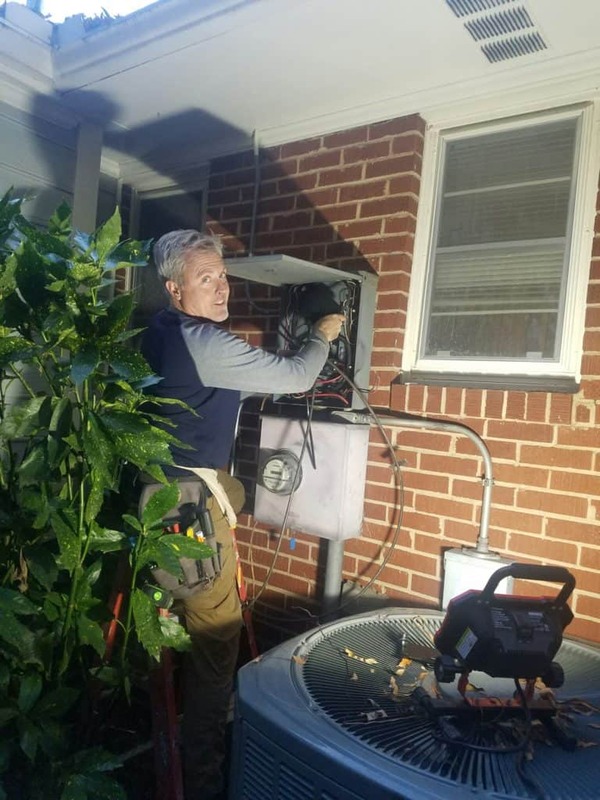 I will work on is anything from lighting and fans, fishing wires for new circuits, ventilation fans, any 120 volt power to 240 volt appliance/ motor electrical issues, panel upgrades and change-outs, bonding and grounding, GFI receptacle issues, home inspection reports, providing power to any and all areas, garages and basements/ room additions/ remodels. Please don’t throw away your old PC or Laptop before talking with Ken Romano, skilled computer technician. Ken has breathed life back into laptops that I thought were beyond hopeless. When I pick up a repaired computer from Ken it not only arrives working like new but also clean like the first day it came out of the box. Ken has extensive experience, practical knowledge and the credentials to work on any PC, Apple laptop or desktop computer. Don’t go to the box store and pay more for what you don’t need before calling Ken. Great and reliable service. We love them! Strong recommend based on our extended family’s experience; more than a few occasions. Sure we’re dog walkers and cat sitters, but we also provide pet sitting services for all your pets. Cows included. I was impressed by Grey’s professionalism, promptness, thoroughness, fair price and especially the last thing he did before completing my invoice: cleaned the fireplace gate glass. Just in case anyone else might be interested in a reliable, reasonably priced service I asked Grey to send me a brief description, cited below, of the services he offers and his history. I’ve been in this line of work since 1990. I started my own business in 2009. I do cleanings for fireplaces, wood stove inserts and freestanding stoves. Major and minor repairs to chimneys and relining damaged flues are also part of my services. I do custom caps and gutter cleaning. Best Stylist (Men and Women): Lars Ekdahl (Lars Oliver Salon) : I have known Lars for 16 years. No better stylist in town. Best for Men and best stylist/colorist for women. 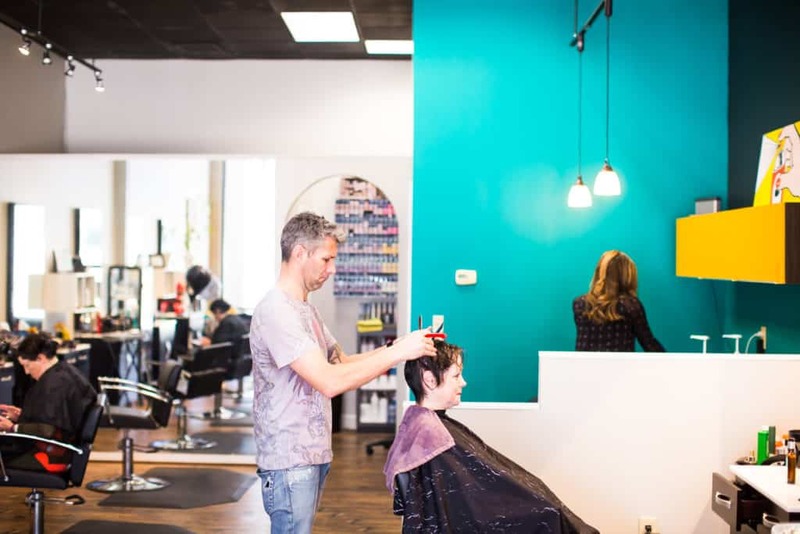 Lars Oliver Salon is located at Erwin Square 2200 West Main Street , Suite A-150, Durham NC 27705. 984.888.5928 B, 919-619-0989 M. Website. AdrianH360@gmail.com 919-697-9620 Pressure Wash, Pruning, Planting inside and Outside & cleaning gutters. A year ago, our yard was a mess – raising two teenagers, work, and crabgrass had taken their toll on the grass – to the point where we could no longer claim benign neglect. We had long admired the lawns of some neighbors and noticed a common theme – Adrian was taking care of them. Once we got him on board with our unruly mess of a yard last fall, the positive change was nearly immediate and our yard never looked better – and even after the awful weather we’ve had the past 6-odd weeks, our yard looks great. Plus – he’s just a really nice guy. About UsAmerica Select Mortgage, Inc. is a licensed North Carolina Mortgage Broker. Our mission is to expand the delivery of mortgage services and products to consumers that matches and often exceeds, those offered by other financial service providers. We offer conventional mortgage loans, jumbo mortgages, fixed interest rate mortgages, and adjustable rate (ARM) mortgages, along with FHA and VA loans. We specialize in both conforming and non-conforming mortgages and serve the entire Research Triangle region of North Carolina, including Raleigh, Durham, Wake Forest, Chapel Hill, Apex and Cary. For further information about America Select Mortgage, Inc. contact info@americaselectmortgage.com or call us at (919) 260-9038. Built upon a background of industry experience in sales, project management, manufacturing and installation, Stephen Dunn launched Graphix Solution as an alternative to the cookie cutter signage companies that tend to be scarce on creativity and designing outside the box. Stephen’s goal is simple; offer clients superior service and quality products at an affordable price. He strives to exceed this goal on each and every project. Join Tommy Donovan with RIC Home Inspections and Shane Hipps with Closing Contractor for home improvement radio like you’ve never heard it before. Both informative and entertaining, the Home Pros answer your questions, share the latest news in the industry, and introduce you to the home improvement professionals that make it all happen. It’s home improvement and repair for listeners of every experience level. Visit us online at www.homeprosradio.com.